The Muppet tampil with Alice Cooper. 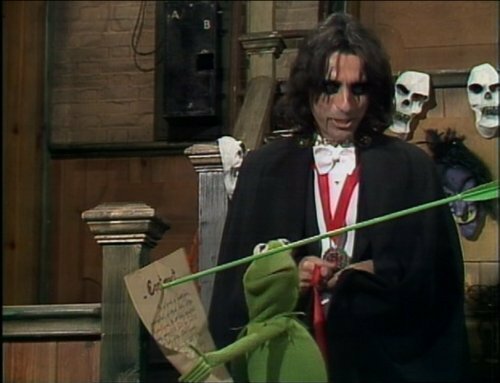 from episode of The Muppet tampil with Alice Cooper as the guest bintang. Wallpaper and background images in the The Muppets club tagged: muppet show kermit miss piggy alice cooper guest muppets jim henson. This The Muppets photo might contain taman menyapu and taman rake.